Sponsored by the Council of State Home Care Associations, the Public Policy Summit and Advocacy Day is now in its third year! The first day of the Summit begins on Tuesday, September 11 and features top homecare innovators, policy experts and regulators from across the country. 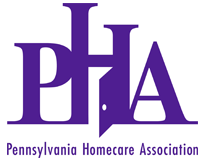 The following day, September 12, attendees will meet with their respective lawmakers on Capitol Hill - hundreds of homecare professionals strong! Click here to register for the Public Policy Summit and Advocacy Day. Click here to download the full Summit brochure. Click here or call 1-877-212-5752 to make overnight reservations at the Mayflower Hotel. Reference the Council of State Home Care Associations Policy Summit to take advantage of the discounted room block rate of $266. The deadline to secure this rate is Sunday, Aug. 19.